The 1961 Lafite-Rothschild was opened at the last minute in response to an impassioned speech I made about the joys of mature Bordeaux and how I lamented the fact that too many wine lovers drink great Claret prematurely. It is actually 15 years since I last tasted this wine. In many wines, as is so often the case with this First Growth, it is very difficult to describe. Firstly, I noted the deepness of color with little ageing on the rim. The bouquet is utterly refined, in some ways not as complex as more recent vintages, yet it has a sense of authority and purpose. Vestiges of faded dark fruit mix with scents of an antique mahogany bureau and tobacco. The palate is medium-bodied with fine, degraded tannin. Surprisingly youthful, it is undoubtedly beautifully balanced with perfectly judged acidity. 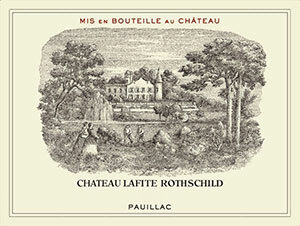 It does not possess the aristocracy of the 1961 Latour, not the complexity, yet there is something "princely" about this Lafite, blue blooded and yet old school. The glass was finished too quickly—an effortless class act. Tasted March 2016.